You've added Park Güell, Ciutadella Park, Barcelona Zoo, and other attractions to your itinerary. Family-friendly places like La Sagrada Familia and Port Vell will thrill your kids. Step out of Barcelona with an excursion to PortAventura World in Salou--about 1h 45 min away. And it doesn't end there: see the interesting displays at Museu Nacional d'Art de Catalunya - MNAC, admire the striking features of Güell Palace, take in the spiritual surroundings of Basilica of Santa Maria del Mar, and don't miss a visit to Casa Amatller. To find other places to visit, more things to do, photos, and tourist information, read our Barcelona vacation planner. If you are flying in from Qatar, the closest major airports are Barcelona International Airport, Girona Airport and Reus Air Base. In August, daily temperatures in Barcelona can reach 34°C, while at night they dip to 26°C. You'll set off for Seville on the 23rd (Wed). 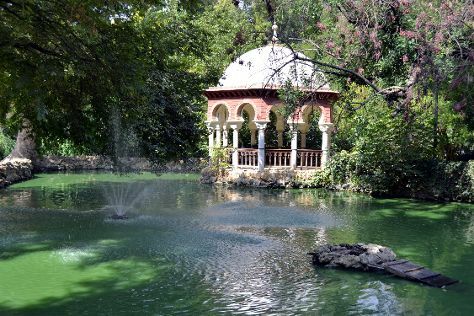 Kick off your visit on the 23rd (Wed): steep yourself in history at Plaza de Espana and then admire the natural beauty at Parque de Maria Luisa. On your second day here, contemplate in the serene atmosphere at Seville Cathedral, admire the landmark architecture of Torre Giralda, don't miss a visit to Casa de Salinas, then browse the exhibits of Torre del Oro, and finally step into the grandiose world of Royal Alcázar of Seville. To see reviews, maps, traveler tips, and tourist information, you can read our Seville trip itinerary builder. You can fly from Barcelona to Seville in 3.5 hours. Other options are to take a train; or drive. Traveling from Barcelona in August, expect nights in Seville to be slightly colder, around 22°C, while days are a bit warmer, around 38°C. Wrap up your sightseeing on the 25th (Fri) to allow time to take a train to Cordoba. Your list of things to see and do now includes Mosque-Cathedral of Córdoba, Historic Centre of Cordoba, Alcazar de los Reyes Cristianos, and other attractions. 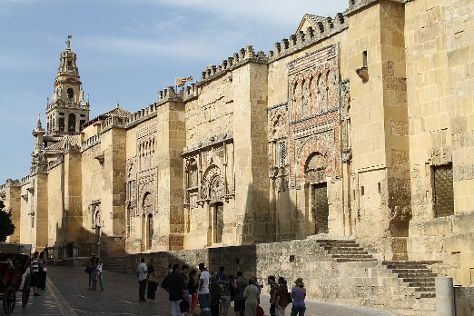 Start off your visit on the 25th (Fri): get to know the fascinating history of Jewish Quarter (Juderia), don't miss a visit to Historic Centre of Cordoba, then contemplate the long history of Alcazar de los Reyes Cristianos, and finally admire the landmark architecture of Mosque-Cathedral of Córdoba. To find other places to visit, where to stay, maps, and more tourist information, refer to the Cordoba tour planner. Traveling by train from Seville to Cordoba takes an hour. Alternatively, you can drive; or take a bus. Expect a bit warmer weather when traveling from Seville in August: highs in Cordoba hover around 43°C, while lows dip to 23°C. 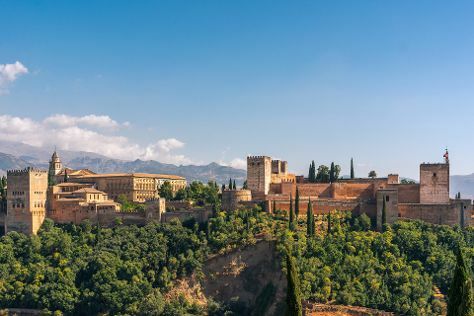 Finish your sightseeing early on the 25th (Fri) so you can drive to Granada. Your day-by-day itinerary now includes Generalife as well as Albayzin. To see photos, other places to visit, where to stay, and other tourist information, use the Granada trip itinerary maker. Getting from Cordoba to Granada by car takes about 2.5 hours. Other options: take a train; or take a bus. Traveling from Cordoba in August, expect nights in Granada to be about the same, around 22°C, while days are a bit cooler, around 39°C. Wrap up your sightseeing by early afternoon on the 27th (Sun) to allow enough time to travel back home.